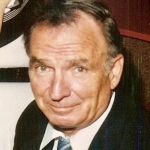 Fogarty, James Edward age 83, passed peacefully into the arms of our Lord, on Friday, March 22, 2019, in Park Ridge, IL. Jim was born in Chicago's southside Ogden Park neighborhood on November 4, 1935, to the late James Eugene Fogarty and Jane Beverly Richmond. Jim grew up in St. Kilian’s parish and graduated from Calumet High School. Jim joined his brother Leo in the Marines in 1957. While working as a fireman on the Rock Island Railroad, he met Mary Ellen Scheidt and was married in 1960 in St. Theodore's Church, spent 53 beautiful years together, and retired to Gand Junction, MI, in the home that Jim and his family built. Jim joined the Chicago Fire Department (CFD) in December of 1970, left active duty in 1995 and officially retired in 2003. Jim was an engineer and firehouse cook for several houses, most notably Engine 95. He was a proud member of the Brotherhood of the Barrel and Local 2 for over 40 years. He resided in Elmhurst and Chicago's Edison Park neighborhood raising their six children Ellen (Michael) Hall, Jimmy, JoAnn (the late Sam) Sparacino, John (Karen), Michael (Sandra) and the late Jane Fogarty. Jim’s legacy lives on in his 13 grandchildren, Frank (Megan), Durelle (Deonte) and Michelle (Chris) Hall; Sarah Byrne; Daniel, Peter (Jennifer), Joseph and Samantha Sparacino; Megan, Jack and Michaela Fogarty; Elisa and Michael Fogarty; and five great-grandchildren, Dakota Sparacino, Tarell and Deonte Hall and Mila and Madison Sparacino. He is preceded in death by his beloved wife Mary Ellen, and daughter Jane. Dear and treasured brother of the Jeannie (Ken) Poore, Michael (Diane) Fogarty, late Leo (the late Roberta), the late Brian (the late Nancy) and the late Barry (the late Kathy) Fogarty. Brother-in-law of Pat (the late Frank) Sarna, the late Carol (Rich) Hale, Judy (Charles) Rotkis, Charles (Kathy) Scheidt, John (the late Teri) Scheidt and Bob Scheidt.